On today's worldwide holiday of superstitions, we wanted to celebrate the odd rituals of some of baseball's quirkiest players. There was an old Larry Stone article that had some tidbits about Larry Walker's compulsion with the number 3 and some other guy who always had to touch someone back, if they touched him. After a quick search through the interweb, I found the 2005 article in The Seattle Times, which we are pleased to share today. The outfielder is obsessed with the number "3." He sets his alarm for 33 minutes past the hour, takes practice swings in multiples of three, wears No. 33, was married on Nov. 3 at 3:33 p.m., and bought tickets for 33 disadvantaged kids when he played in Montreal, to be seated in Section 333 at Olympic Stadium. The recent Hall of Famer always ended his pregame infield practice by stepping, in order, on the third-, second- and first-base bags, stepping on the baseline, taking two steps in the coach's box and trotting to the dugout in exactly four steps. The relief pitcher chewed four pieces of black licorice when he pitched, spit them out after each inning and brushed his teeth in the dugout, and leaped (not stepped) over the baseline (described as a "kangaroo hop"). 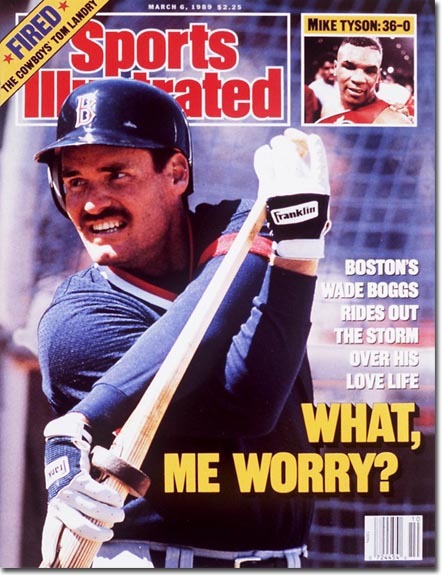 The article didn't mention that Wade Boggs also ate fried chicken before every single game of his career, but we believe that is true and kind of gross. 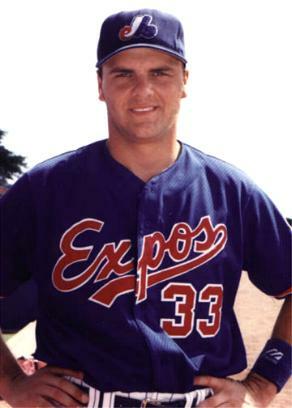 Just ask Dan Rohn, the Mariners' Class AAA manager in Tacoma, about Rhomberg, whose signature superstition (or compulsion, to be technical), foremost among a long and varied list, was the need to touch back someone who had just touched him. Check that — not need, but requirement. If a person somehow eluded his return touch, Rhomberg would send a letter that said, "This constitutes a touch." Cleveland teammates, including Mariners manager Mike Hargrove, called him, "Touch Me, Touch Me," and, having ballplayers' playfully sadistic sensibilities, loved nothing more than to touch him and then run off, sending Rhomberg into a near panic. 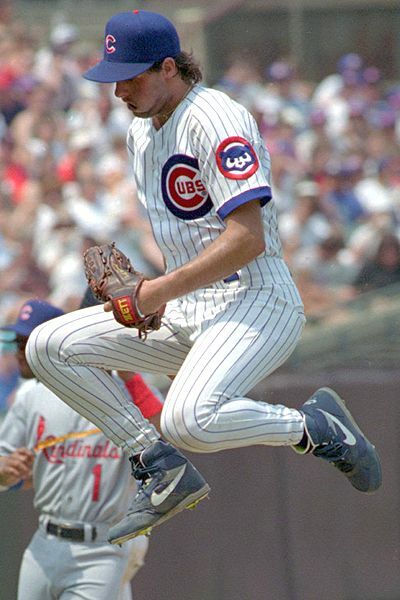 Rick Sutcliffe once reached under a bathroom stall to touch Rhomberg on the toe. Not knowing whom the culprit was, Rhomberg went around the clubhouse and touched each player. Brook Jacoby once told of tagging Rhomberg with a ball in the minors, then throwing it out of the stadium. Jacoby said that Rhomberg spent two hours looking for the ball before finding it. An umpire once halted play during a game in New York to tell Yankees players to stop touching Rhomberg. 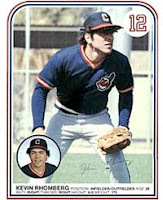 Rohn and Rhomberg were teammates in Venezuela for winter ball, and Rohn touched him one night, then ran off to the clubhouse to hide after his last at-bat. "He looked for me for two hours," Rohn recalled. "I was hiding under desks, in the shower, the bathroom. He couldn't find me." Rohn eventually returned to his hotel, thinking he had outfoxed Rhomberg. But at 3 in the morning, there was a knock at his door. A sleepy Rohn stumbled out of bed to open it. "It was Rhomberg. He touched me and ran away," Rohn said. Who doesn't love this game? Boggs also ate chicken before every single game. Every single game. I wonder if he detests chicken now? It was chicken, but I don't think it was fried. Ichiro eats the same teriyaki wings before all home games, prepared in the same pan and served on the same plate.